We’ve been delighted to participate in the Citizens Theatre’s Gorbals Vampire multi-strand arts project this year. This resulted in a “model sheet” which was used as a starting point for young adults at both Shawlands Academy and in sessions held at the theatre over the last couple of months. The participants were asked to create short comic stories featuring a vampire character. Terry was on hand to offer advice on the creative process. 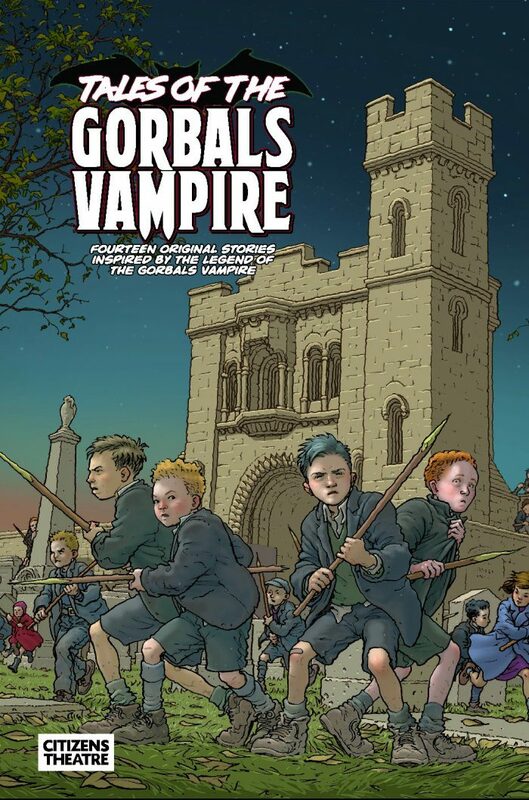 Fourteen stories will be published as an anthology comic next week, launched to coincide with the new Gorbals Vampire play that’s running the weekend before Hallowe’en. Copies will be available from the Theatre, free of charge but limited to one per person while stocks last. You can also read a digital copy now via the Citizen’s Theatre website.